I eat soups regularly but I haven’t shared a recipe before as I tend to just throw lots of vegetables into my soup-maker and hope for the best. 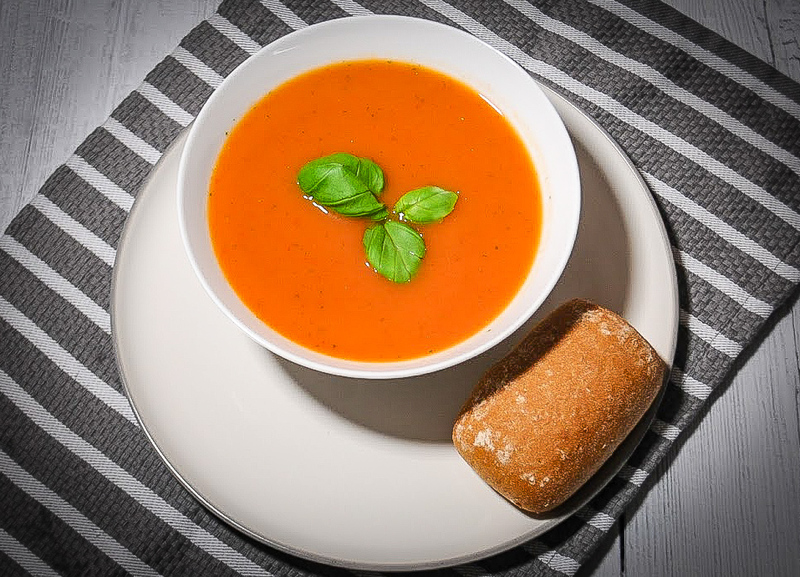 Recently I’ve been asked to share more dinner recipes, including soup, so I thought I’d post my favourite one! Tomato and red pepper soup. It’s so rich and flavour-some yet it doesn’t require too much effort to make. Unfortunately the first time I had this, I suffered from a lot of bloating, indigestion and excess wind which was very painful. I soon learnt that tomatoes are high FODMAP in larger serves (hence why you must have a small portion of this soup, despite how tasty it is!) and that the fructose content doubles when you roast or dry out the tomato (fascinating… Yet irritating!) If you are sensitive to this, then please do not roast the tomatoes, you can simply add them to the pan with the stock and simmer before adding the roasted red peppers. Preheat the oven to 160 degrees or gas mark 3. 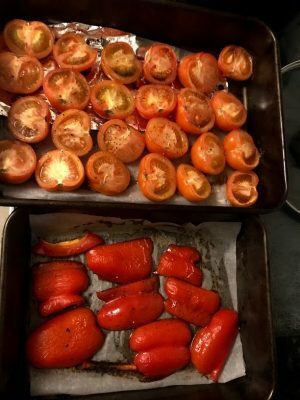 In a large roasting tray, place the tomato slices in halves (cut side facing upwards), and slices of red peppers (skin-side up). IMPORTANT! 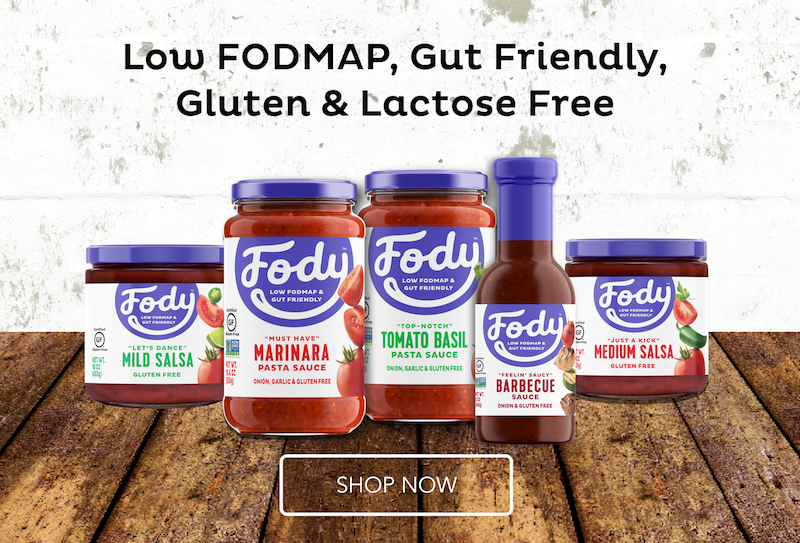 As above, if you are particularly intolerant to fructose, do not roast the tomatoes as this increases the FODMAP content. They can be cooked in a pan a little later. Drizzle with balsamic vinegar, garlic-infused oil, caster sugar, salt and pepper, then place in the oven for 1 hour. Add the cooked tomatoes and red peppers to a pan along with the vegetable stock, celery and basil, and blend until smooth. Put the soup through a sieve (to remove any skin and tomato seeds), heat up slightly on the hob and serve with gluten free bread. This soup is the perfect winter-warmer, and goes really well with crusty white gluten free bread. 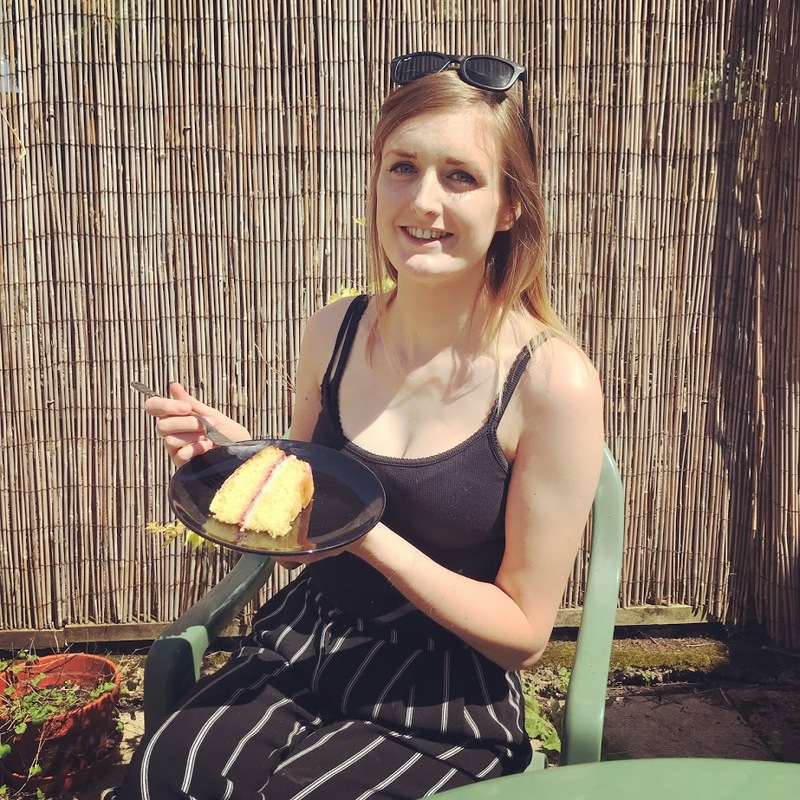 I’d personally recommend the Schar white ciabatta rolls, white baguettes or the new Marks & Spencer Bake at Home Bread. Let me know if you make this soup, I love to see you making my recipes over on my Instagram. I’m also on Facebook and Twitter too if you prefer to follow me there. I’ve updated this above – oops!